The essential elements for health are filled in this Ladoo. It is effective for family members who want to improve their energy levels, health and give nourishment to their bodies. Roast well and dry grind fenugreek seeds to fine flour. Soak it in ghee for 8-10 hours or leave it overnight. Keep aside. On a low flame, heat ghee in a heavy-bottomed pan. As the ghee melts, add wheat flour. Sauté the flour till it turns light brown in colour and the ghee separates. Switch off the flame. Remove the pan.Add jaggery. Mix well. Again on a low flame, let the jaggery melt completely. Switch off the flame. Let this mixture cool. To the cool, wheat flour mixture, add soaked fenugreek flour. Mix well. Add all the spice-dry, fruit mix ingredients. Stir well. Add extra sugar to the mixture if needed, depending on the bitterness of the fenugreek seeds. Divide the mixture into 16 equal portions. Shape each portion into round balls. Arrange them in a plate (thali) to set for a day or two. Store in an airtight container. Fenugreek flour must be ground fresh or it will taste bitter. Sift before use. 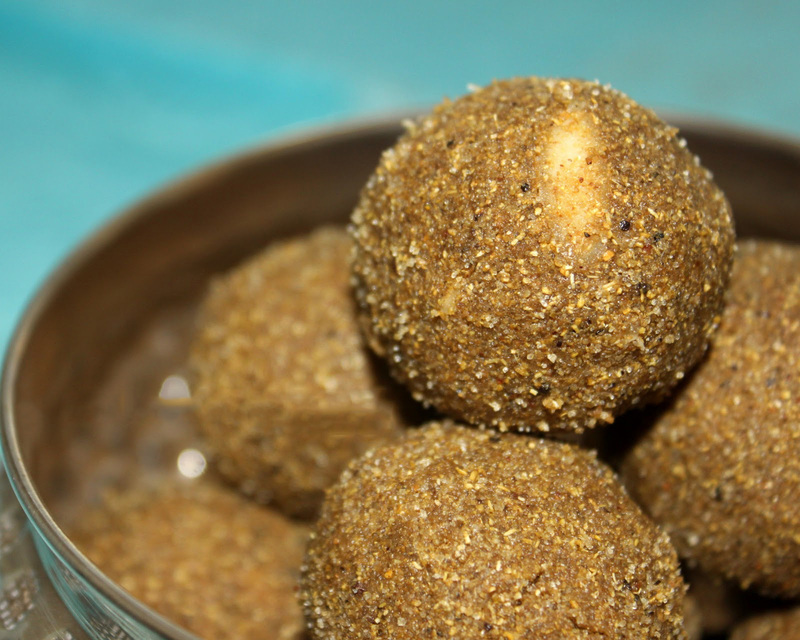 Methi ladoos give a good relief to arthritic pains. What is Smith Powder? Is it available in India? Can it be home made?